For many people, there is nothing more intimidating than having to face necessary surgery and the road to recovery afterward. 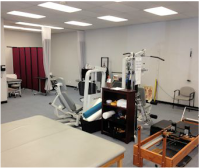 At Paso Robles Physical Therapy, we are well equipped to assist you in that rehabilitation process that is essential after any one of the multitude of orthopedic surgical procedures. We have years of experience in aiding people during their post-operative recovery period. This could include shoulder surgery (eg. rotator cuff repair, labral repair, total shoulder replacement), elbow (eg. fracture repair, nerve releases), wrist and hand (eg. carpal tunnel release), hip (eg. total hip replacement, post arthroscopy labral resection, post fracture repair), knee (eg. arthroscopic meniscectomy, ACL reconstruction, total knee replacement), ankle (eg. Achilles tendon repair, post plantar fasciitis release, post fracture repair), spine (eg. cervical or lumbar fusion, discectomy). Post-operative rehabilitation offers its own set of hurdles to overcome. There are precautions, healing times, swelling issues, and protocols for progressive tissue load all to consider. A thorough knowledge of the anatomy of the region is imperative in order to safely progress the patient through the healing process. There needs to be an open line of communication between patient, physician and therapist to engage a rapid recovery. Is the patient going to return to simple daily activities or competitive sports? Is the goal to walk, jog, run or ride horses? Are there other medical issues to consider? All these variables are part of the recovery process. 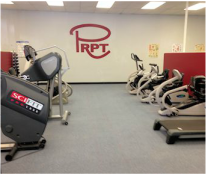 At PRPT, we employ whatever exercise, procedures and modalities are necessary to achieve these goals. From joint mobilization to balance activities, from scar massage to electrical stimulation, we choose those treatment measures that we feel are most conducive to healing and recovery. We want you to get back to life as you know it! Let us help you toward that goal. When it comes to orthopedic issues in the extremities (arms and legs), there is no substitute for a thorough assessment and construction of an appropriate treatment plan. Whether it is a shoulder joint issue (eg. rotator cuff difficulties, strains, overuse syndromes), elbow joint problems (eg. tennis and golfer’s elbow), wrist and hand (eg. carpal tunnel syndrome), hip (eg. bursitis, piriformis syndrome, IT band syndrome), knee (eg. osteoarthritis, patellar tendonitis), or ankle (eg. sprain, plantar fasciitis, Achilles tendonitis), it is of utmost importance that an evaluation delineates the problems to be addressed. Beyond the standard strength and mobility testing, which can reveal much about what needs to be addressed, for each region there are specific tests to assess the nerves and structures of the given area. After assessing these structures the therapist can devise a treatment plan to attack the issues found. This may include strengthening, stretching, gaining nerve mobility, restoring normal joint kinematics (proper joint movement), improving balance and coordination as well as other specific treatment procedures. We may also use modalities to aid in healing. These could include electrical stimulation, ultrasound, iontophoresis, light therapy, heat or cold. Of utmost importance is discovering what needs to be addressed and then finding ways to treat these issues. This is a joint effort between patient and therapist as we help guide you toward recovery. It is fun, exciting and challenging all at the same time, and we love our work! Back, neck and joint care is more than just treatment protocols at Paso Robles Physical Therapy. It’s a program of one-on-one care from a licensed, skilled physical therapist. And it’s designed to get patients out of pain and back to function as quickly and safely as possible. Low back problems, for example, are second only to the common cold as the most frequent cause of lost workdays among working adults 45 and under. Our back and neck care program has helped everyone from competitive athletes to pregnant women and working people. Our joint care program has helped everyone from retirees who have had joint replacement surgery to athletes with knee (ACL), shoulder (rotator cuff ), elbow and ankle injuries and working people. Patient education with a focus on home exercise programs for mobility, strengthening, stabilization and protective body mechanics to restore function and help avoid future injury. Sacroiliac joint dysfunction assessment and mobilization/stabilization to address low back and pelvis-related pain. Strain-counterstrain and soft tissue mobilization designed to greatly reduce muscle pain. Joint and connective tissue mobilization techniques that are designed to restore range of motion and reduce pain. Modalities such as cervical and lumbar traction, interferential current (TENS), ultrasound, heat and ice that are used appropriately to help reduce pain, inflammation and muscle guarding. Treatment of spinal conditions with the ATM2. ATM stands for "active therapeutic movement" and the device as pictured here allows for stabilization of the painful spinal region to allow pai-free movement. After stabilization and pain free movement is obtained, the individual performs isometric exercises to re-train the body to move without pain. The staff at PRPT has found the device to be very helpful in the restoration of pain-free spinal movement. Visit www.backproject.com to learn more.